Claes Zettermarck graduated from the law faculty at the University of Stockholm in 1972. Following five years of public service, among other things as a trainee at a district court and junior judge at the Svea Court of Appeal, he started in private practice in 1977. As an associate and partner of Palm-Jensen and Roos his area of practise was focused on construction litigation and arbitration. 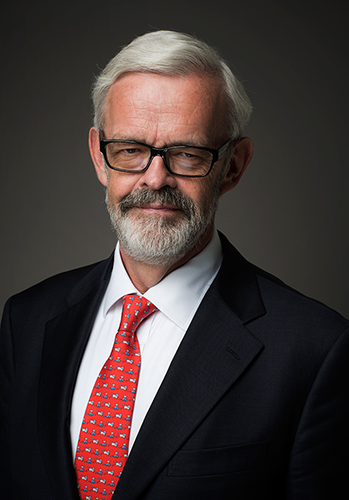 In 1983 Claes Zettermarck joined the first foreign law firm to open in Sweden, White & Case. He made partner in 1986 and remained with the firm until 2013. At White & Case, the focus of the practice was disputes, litigation and arbitration, and M&A. The disputes practice covered all types of commercial disputes from construction to development of IT systems and disputes in connection with acquisitions. The M&A practice was focused on the representation of private equity houses. At White & Case Claes Zettermarck was executive partner of the Stockholm office for 13 years and for the Moscow office during two years. Claes Zettermarck also served on the European Coordination Committee for a number of years and as a member of the firm’s Global Management Board from 2001-2004. Claes Zettermarck has also been active on the board of the Swedish bar. He served as Vice President 2009-2011 and as President 2011-2013. In 2013 Claes Zettermarck left White & Case and started Advokatfirman Lundblad & Zettermarck HB together with Claes Lundblad. The focus of Claes Zettermarck’s practice at Lundblad & Zettermarck is arbitration and in particular assignments as arbitrator. Claes Zettermarck is fluent in Swedish and English.